If there's one thing I cannot justify, it's the price of some high end make up. Don't get me wrong, I have my fair share of MAC lipsticks and expensive eyeshadow palettes, but there's nothing I love more than going spend crazy in Boots and taking advantage of all the offers. 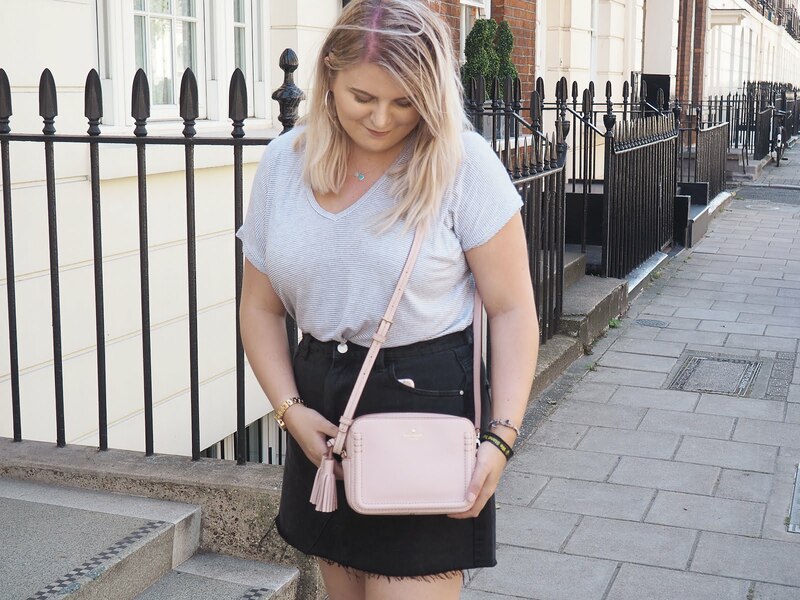 I wanted to share with you a few products that I feel are seriously underrated, in the hope that you'll want to try them and love them as much as I do! Rimmel Stay Matte Primer // £5.99 I actually picked this up on a whim maybe just over a year ago, but only recently has it become like my holy grail primer Sorry Nivea Post Shave Balm, this beats you. After a long and hard battle with Benefit's Porefessional (which I'm going to be including in my Worth The Hype series), I decided to give this a whirl and it is frickin' amazing. It soaks into the skin exactly like a moisturiser and doesn't leave my skin feeling dry despite it being a matte primer. Definitely worth a try! Natural Collection Concealer // £1.99 Natural Collection are one brand that I have so much love for. I have literally been using this concealer since I was about 15 and can happily say it's absolutely worth trying, especially considering how good the price is. I find it blends into my skin a lot more smoother in comparison to others I've tried such as the forever talked about Collection Lasting Perfection. It also lasts all day so win win really. 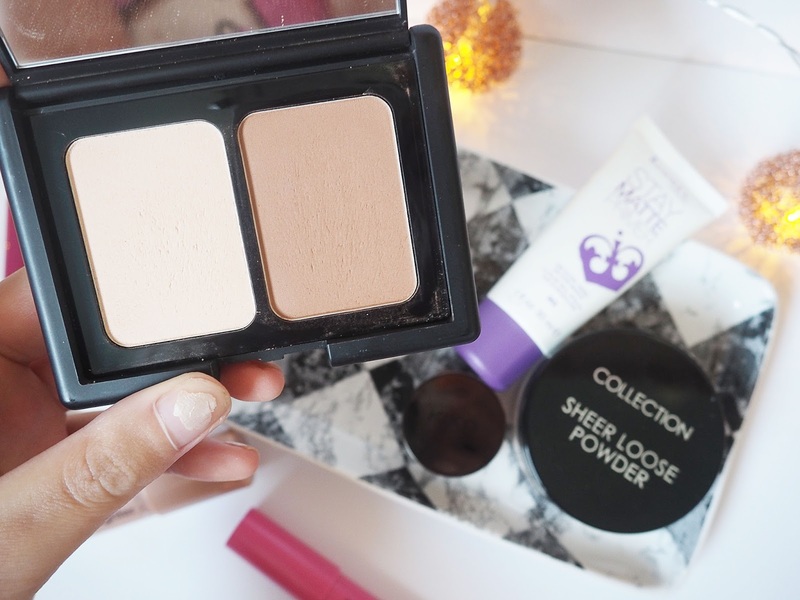 Collection Sheer Loose Powder // £2.99 Regardless of this product being one of the newest additions to my make-up collection, I quickly fell in love with it. I had always been a compact powder kinda girl but after purchasing this, I don't think I'll ever stray away from loose powders again. Using the Collection Loose Powder with the Urban Decay Setting Spray makes the perfect combo and actually keeps my make up in place all day for the first time in my life. 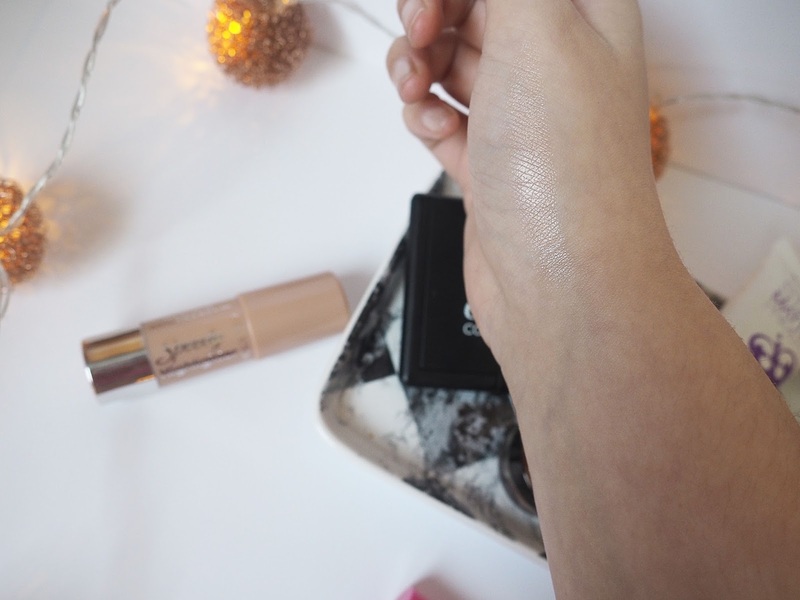 Seventeen Define & Conquer Contour Kit* // £5.99 The Seventeen items that are included in this post were sent to me, but omg I would happily repurchase this contour kit again and again. If you're looking for an affordable drugstore contour shade, this is the one. It has pretty much replaced my Benefit Hoola bronzer (even though I still love it) but in my opinion... The shades are almost identical. The only thing I will mention is that this product has a slightly warmer undertone in comparison to Hoola, but it still gives lil old Casper the ghost over here (me) a really natural look. Kiko Metallic Eyeshadow - Shade 01 // £3.40 Besides giving Kiko extra points for the cutest packaging ever, I adore the formula of these eyeshadows! The pigmentation isn't as good as those in say, a high end palette, but the colour is buildable and super easy to blend. Basically it's everything I expect from an eyeshadow. Oo look what we have here, another Collection product. I can't remember who initially told me about this (soz) but it's bloody fab for a highlighter that costs under £5! I'm not sure if it comes in other shades, but the one I have, "Pearl Sheen", lives up to the name. It leaves my skin with such a pretty pearlescent glow, sparkling for daaaays. 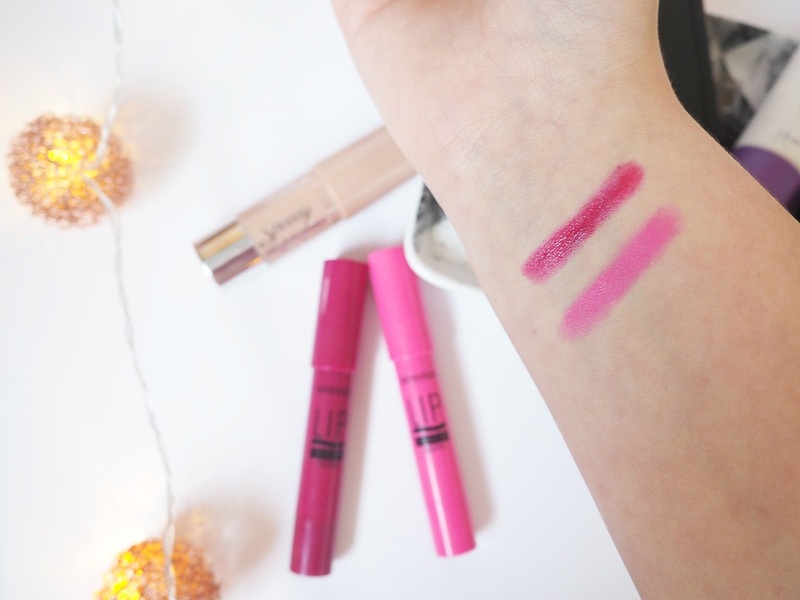 Seventeen Lip Crayons* // £4.99 Last but not least, I wanted to round the post off with a couple of lip products because y'know, I tried to include a product from every category. I'm not too sure on the shade names that I have, but the darker one I have featured is a stunning deep plum colour (as you can probably see) and is my absolute fave. I must admit I'm not too keen on the finish of the matte crayons, but I love the glossy ones. Plus, for £4.99, can you really go wrong? I always look at the Rimmel primer and never buy it. I'm definitely going to have to give it a go now! I love drug store hauls. Definitely think low prices put people off sometimes, but you can find such good dupes that work amazingly! I've used the natural collection concealer in the past but didn't get on with it too well. 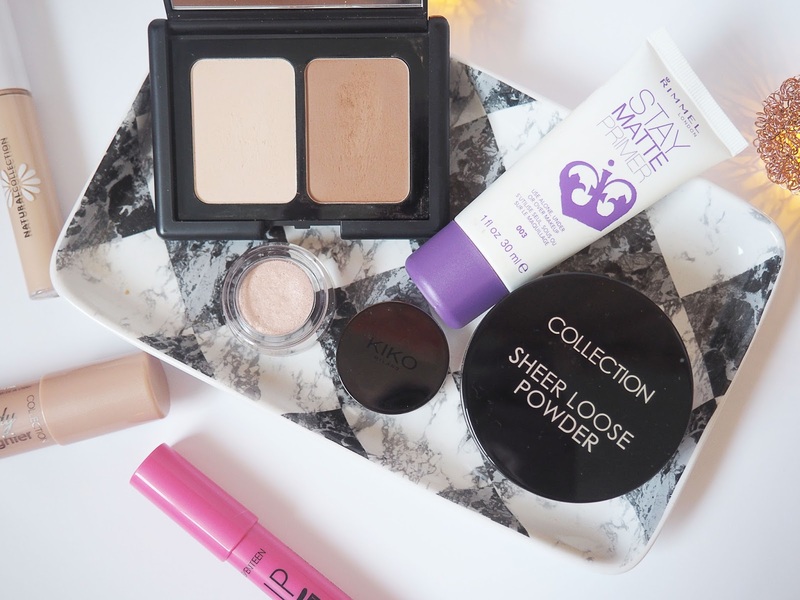 I have tried collection loose powder, but I use MUA's and love it! this has reminded me that i love the rimmel stay matte foundation - i should try the primer too! 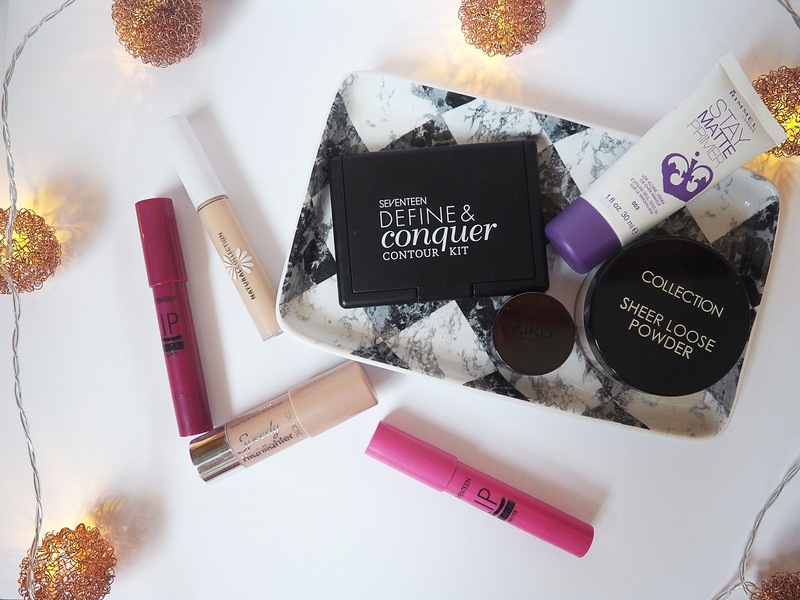 I absolutely adore the Seventeen Define & Conquer Contour Kit, I haven't used anything else since I purchased it!